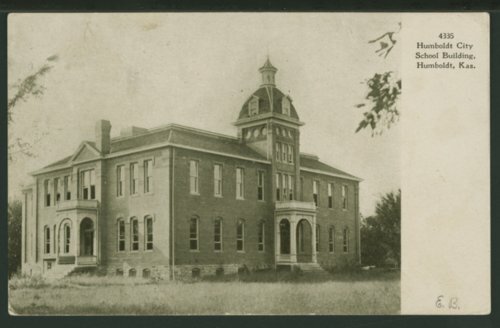 One postcard and three photographs of Humboldt High School in Humboldt, Kansas. The postcard was addressed to Mr. Frank Romary in Olivet, Kansas. Creator: Adolph Selige Publishing Co.